It’s been quite on our blog for a while, we apologize for that and want to give you some updates on what happened the last weeks! 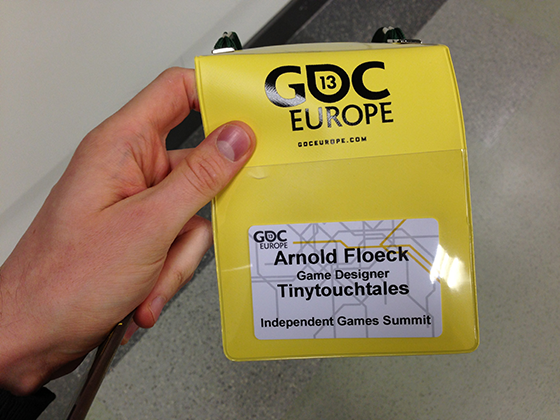 Arnold went to the GDC Europe and visited the Indie Game Summit. Listening to some super interesting talks, including Indies like Frogmind who made Badland and their iOS success story and our all time favorites Jan and Rami from Vlambeer, who talked about their game Ridiculous Fishing and their endeavor to fight cloning. We had the chance to meet various developers, tried out the new Occulus Rift HD (super awesome) and exchanged quite a few Business-Cards with journalists and interesting people. Even though we were there only for 1 day it was super cool and we had a lot of fun! The second part of our Cologne trip was Sega’s Big indie Pitch. This was an event for Indie-Developer to show their game in a Speed-Dating format to several journalists. The location was a small bar next to the Dom. After getting a number we had the chance to pitch Zuki’s Quest in 5 mins to 10 journalists. We had several good responses and collected a lot of Business-Cards. Pocket Gamer wrote a summary: Gamescom ’13: The hottest prospects from the Big Indie Pitch on their blog and featured our game too. That was pretty nice and we got some extra attention from the other side of the world, where GameSaku wrote a Zuki’s Quest preview in indonesian: Preview Zuki’s Quest – Puzzle Platformer dengan Unsur Gravitasi. Additionally we met Yassin Chakhchoukh from the german developer magazin Making Games, for which we will write an in depth article about the development of Zuki’s Quest, which should be out in December. Speaking of Zuki’s Quest… it’s coming along! 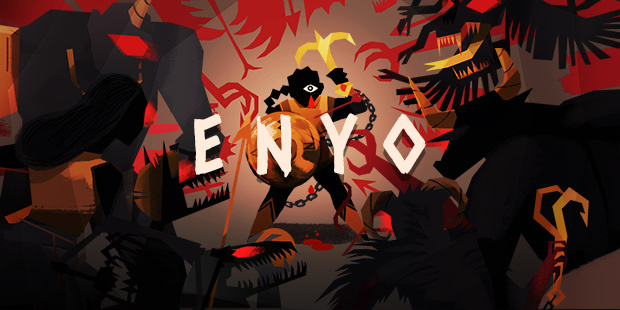 We opened the Beta already and got some super good feedback of our precious testers. You still can enter the Beta if you have an iPhone/iPad, just write us an email to beta@tinytouchtales.com. Right now we are working on the visual polish and we still need to work a lot on the difficult curve to make the first 20 Levels as enjoyable as possible. After the great collaboration with George Hufnagl, we will work with him again and he will compose the music and sound for Zuki’s Quest. We are super happy to have him onboard again! Additionally we have some more exciting news for Zuki’s Quest which we will reveal later. Stay tuned! Something that happened exactly one week ago which totally amazed us was that Apple finally featured Matchagon after 7 month of hibernation. We got a pretty good ‚New & Noteworthy‘ featuring in 19 countries and more importantly a ‚What we are Playing #4‘ spot in Norway, Denmark, Finnland, Sweden, Ireland and the UK. This featuring brought us into several Top 10 ranks in Puzzle and Strategy and a staggering 40.000 downloads in one Week. We made $657 with our $0.99 cent in App purchase. Some pretty awesome weeks lay behind us and there is so much more to come! Arnold made the first step into being a fulltime Indie and started to work as a Freelancer. The Cologne Gamelab, which is the Gamedesing faculty of the University of applied science, invited us to give a talk for the Master Class in Gamedesign, which is super awesome and so we will visit Cologne in November again. This was our Big update and we are looking forward to releasing Zuki’s Quest this fall!